I recently found myself in the Loop in Chicago in search of breakfast, a vital part of my three-daily-meal routine. I can recommend a tiny place which just opened: Do-Rite Donuts & Coffee. For donut lovers, it is a paradise. For others, it’s a good way to rediscover the treats. Since they offer so many flavors, you’re sure to find one to your liking, or one so good that you will want to return. Add a cup of coffee, and you’ll have a good way to keep you warm in the Windy City. That’s all they have; in fact, the entire menu of Do-Rite Donuts & Coffee is in its name! 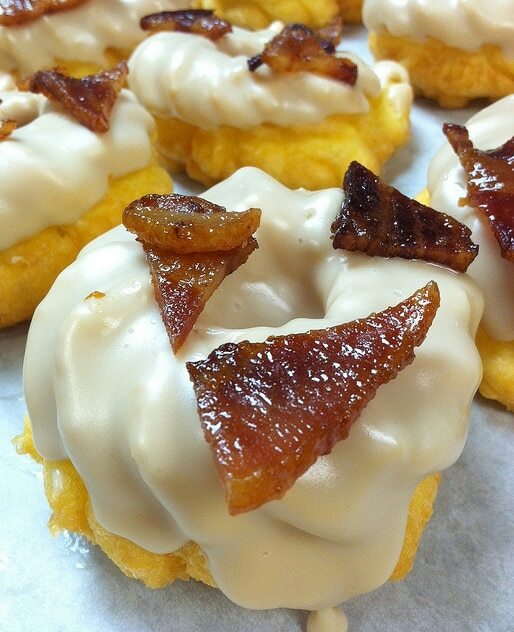 Go to the photo gallery to discover some of their exotic flavors (Vermont maple-glazed French cruller with candied bacon, anyone? ), and read the review for more information.